Today, I’m really excited to share with you an inspiration photo shoot, photographed and styled by the lovely Jessica White of Jessica White Photography. 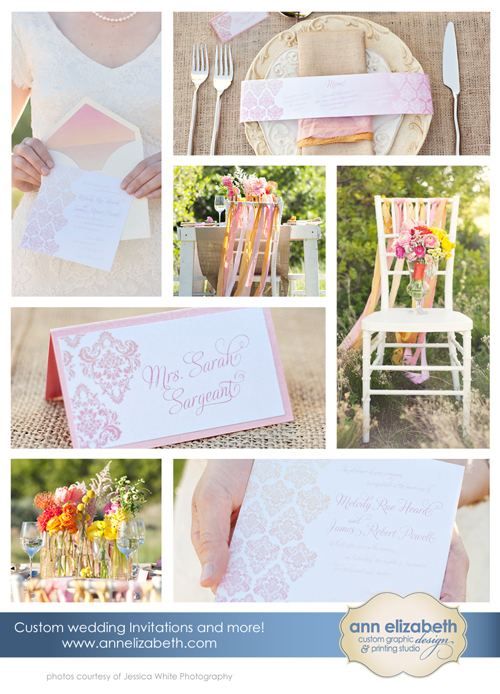 Jessica asked us to design the printed pieces for this gorgeous shoot, and we gladly accepted. We love the pastel ombre palette paired with bolder blooms. It’s the perfect marriage of soft and summery, shabby and chic! We hope you enjoy this inspiration board as much as we do.